Anything worth doing usually takes a while. Retired history teacher Greg Raffin spent four years researching and writing this book. On the other hand, long-running enterprises are not necessarily worth it. World War I might be an example. In attempting to explain the mutiny, Raffin works methodically through ‘issues of heroism and resilience, bravery and cowardice, fatigue and shell-shock’ and the intricacies of military discipline and punishment. 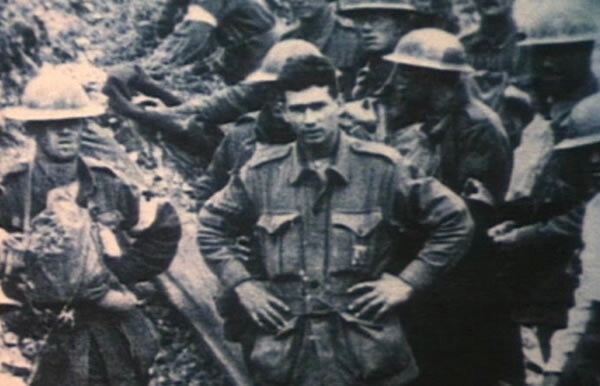 He touches on other Australian mutinies around this time as units were disbanded and reorganised and follows the war of Corporal Rollo Taplin, a participant in the 21 September mutiny, who kept the story from his family for 60 years afterwards. Raffin encourages us to empathise with the 21 September men and try to understand their stress and fatigue from long periods in the front line – 80 out of 170 days between 5 April and 20 September – combined with shorter-term irritants like inadequate communication at the platoon and company command level. He makes good use of the writings of Charles McMoran Wilson (later Lord Moran, Churchill’s physician) on how men react to battle stress, particularly that due to fatigue, monotony, and the death of comrades. Raffin finds that ‘no single factor’ led to the 21 September mutiny. It is clear that these men by and large were not ‘bad soldiers’ or ‘shirkers’ or ‘cowards’. Indeed, they were much like the rest of the 1st AIF in many respects, such as time on the front line, number of wounds suffered, pre-war occupation, and religious affiliation. The author keeps coming back to fatigue and war weariness as contributing factors, combined with unexpected changes in orders (denying relief from the front line), mixed messages, and poor leadership from NCOs and middle-level commanders. Having read Raffin’s balanced account, it is difficult to see what shame can attach to these men and why they should not be mentioned in the same paragraph as men who did not desert or mutiny. ‘The men who were imprisoned’, Raffin concludes, ‘were not deserving of the shame with which they were burdened’. Yet, for a hundred years, gazes have been averted, stories glossed over, and historians who have known of the mutinies have chosen not to write about them. Courts martial transcripts were not available until many years after the war. Raffin’s book is one of a handful over the Anzac centenary years which have fired a metaphorical shot across the bows of the sluggish vessel of mainstream commemoration, a vessel displaying (in its deluxe cabins) what might be called ‘received Anzackery’, the determination to relentlessly peddle familiar but overblown stories of ‘sacrifice for our freedom’. 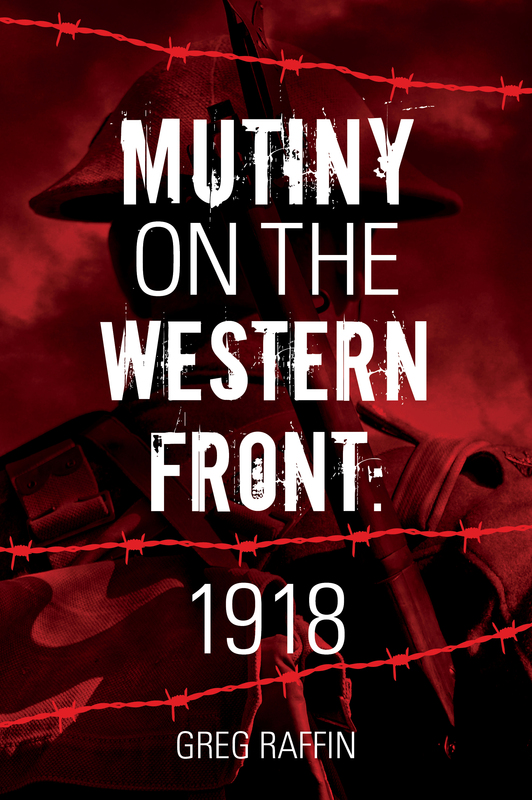 Australian War Memorial Director Brendan Nelson delivered an example of this genre in his National Press Club address, just two days before the centenary of the 21 September mutiny. Director Nelson did use the words ‘exhausted breaking point’ in reference to the AIF of September 1918 but it would have been so easy for him to go further and admit that mutinies and desertions occurred. A sentence or two would have been sufficient to jolt his complacent audience in Anzac Hall at the War Memorial and would have been a salutary departure from the comfortable Anzackery of the bulk of the speech – and the bulk of the Director’s previous speeches. The Memorial’s succinct website summary mentions the 21 September mutiny, and other mutinies in that month and earlier. ‘These events have entered Australian folklore as “soldiers’ strikes” but as instances of mass disobedience against the lawful authority of commissioned officers, they were, plain and simply, mutinies.’ There it is in the website in black and white; why not use it in speeches? Raffin ends on a note of ‘what might have been’ on 21 September 1918. For this observer, had these men been provided with more effective leadership rather than being subjected to conflicting messages in an environment marked by noise and confusion while they were suffering from war weariness and fatigue, the outcome could have been different. They needed someone who would listen to their complaints but who would then cajole them and persuade them rather than just dismiss their grievances out of hand. Raffin’s book is not without its flaws. He repeats himself occasionally in a way an editor should have picked up, there are a few typoes, and the whole book could have better organised. Nevertheless, the story Raffin tells is so compelling that it overcomes these deficiencies. The book has some useful appendices (command structures, commanders, battles, executions), copious notes, and a handy bibliography. To conclude, one recalls the common definition of insanity: doing the same thing again and again and expecting a different result. That is not far from a description of warfare on the Western Front. Raffin’s book unravels the complexity of the actions of the men who mutinied on 21 September 1918. Beneath the complexity, though, might it be that these mutineers – and others who refuse to fight on in similar circumstances – were undoubtedly sane?